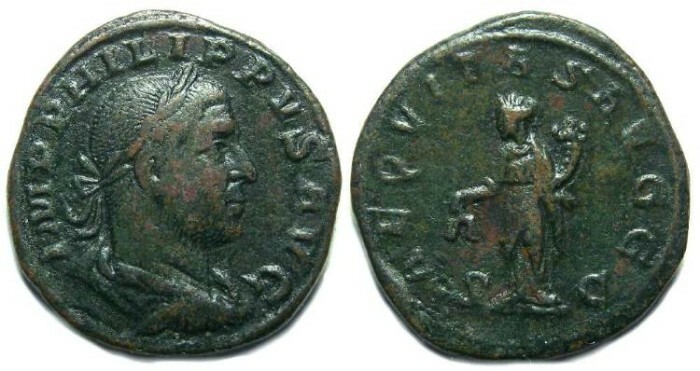 Philip I, AD 244-249. Bronze sestertius. Size : 28.7 x 30.9 mm. Weight : 20.68 grams. Obverse : Head of Philip I right, with IMP M IVL PHILIPPVS AVG around. Reverse : Equity standing left holding scales and a cornucopiae, with AEQVITAS AVGG around, and S C flanking her feet.